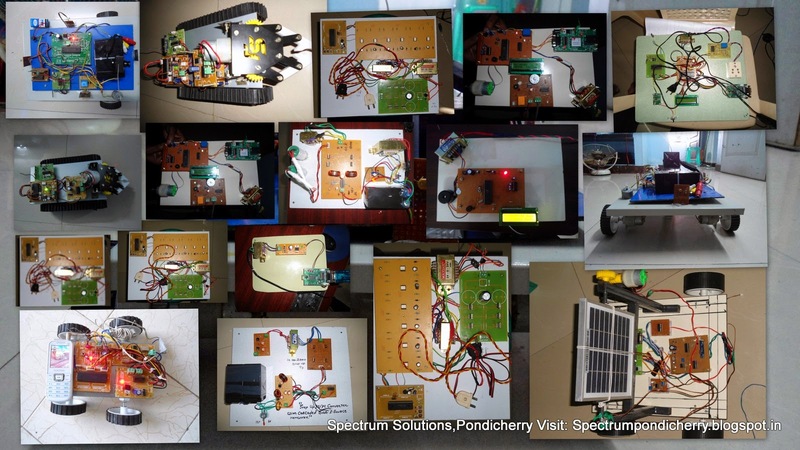 SPECTRUM SOLUTIONS welcome you all in the world of wisdom and intellect to do Best Projects in Pondicherry.Here we will guide you with the latest 2017 IEEE and Non IEEE project domains and their practical implementations.We offer the projects for CSE/IT/EEE/ ECE & Mechanical departments.Please contact us for any type of professional training final year projects or job support.It will be the best place to do project in Pondicherry along with free training and certification. For more details kindly see our About Us page. Dear Friends, Want to earn money online click on both offers and signup to get 5 dollar free and earn huge amount. SPECTRUM SOLUTIONS always concentrate ourselves to provide quality products for various institutions and students.We offer the projects in all domain for the students of Diploma, B.Tech, M.Tech, MS, BCA, MCA etc.Our major concern is in the field of technical education to bridge the gap between Industry and Academics. We are always in the good eyes of the Educational Institutions in India to provide training & projects in Embedded Systems MATLAB and software technologies. We also provide interview training for free of cost. We never stop in going that extra mile ahead in providing greater value to own ideas of students, may it be in terms of providing adequate workforce proficient in highly application cost oriented Embedded Systems or Software Systems. "All the Rights Reserved with Spectrum Solutions". Simple theme. Powered by Blogger.